Acronyms race around the Internet like stock cars around a track. With so many to keep track of, it can be hard to keep up with the latest terminology, often mistaking one for the other. When we hear an acronym like SEO sometimes we hear it so much that we don’t realize what we don’t know about it. Search Engine Optimization is something that every web-driven company wants but not having a firm grasp on it will leave you frustrated when the “so called” experts don’t produce the results that you are looking for. A good consultant usually comes with a substantial price tag so knowing what they should know will help you sort out the ones that are doing nothing more than slapping a label on themselves and calling that their career. In the world of web-based marketing, what you are always looking for is to place in the top 5 of the search results for any customer or interested party who is looking for what you do. You should know what words people using in order to find what you do. It is fine to brand your process as something different than what your competitors call it, but just know that if your site is not optimized to pick up on the industry-standard terminology, no one is going to see it. Your industry’s buzzwords need to be in the content in order for web crawlers to find them. Try doing some basic keyword phrases on a search engine and see what comes up. If your competitors are ranking highly in the search then you know that the keyword phrase is correct. 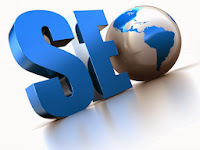 Your SEO expert should know how to do this well and be able to feedback to you some ideas on how to make it better. Ask them what their process is on finding the right keywords for your business. The content on your website is exactly what the search engines are looking for. Having the correct keywords is half the battle, putting them into usable, readable and hopefully sharable content is the other. A great SEO expert knows the difference between embedding keywords into content and “keyword stuffing.” Keyword stuffing is when a writer merely inserts the keywords into an article without really thoughtfully weaving them into the conversation. Good wordsmiths know how to make a keyword flow through the content without it looking clumsy and obvious. Also, using the keyword phrases too much will just become jarring to the reader. Your SEO expert should know how to find excellent content writers and understand proper keyword density to protect the integrity of the content and keep the professionalism and polish that you want shining on your website. SEO doesn’t have to be confusing and finding the right expert doesn’t have to be hard. By arming yourself with the right information, you can weed through the mediocre masses and find the best one for you.